Annestown, Knockane, Benvoy, Boatstrand, Kilmurrin, Bonmahon, Tra na mBó, Ballydowane, this was my journey today. I’ve been thinking about starting a section on this blog to highlight some of the places I know and love. What do you think? I get asked a lot about the best places to visit and besides the obvious and the spectacular there are also many hidden gems. My own home place of County Waterford is one of these. Honestly I have been very very reluctant to do this because I’m afraid I might start a stampede to County Waterford!! Tourism is a very important industry in Ireland so if you are looking for the famous sights go for it. There is tons of information out there about the main attractions. I tend to run away from crowds, shops, hotels and yes my friends, even spas. 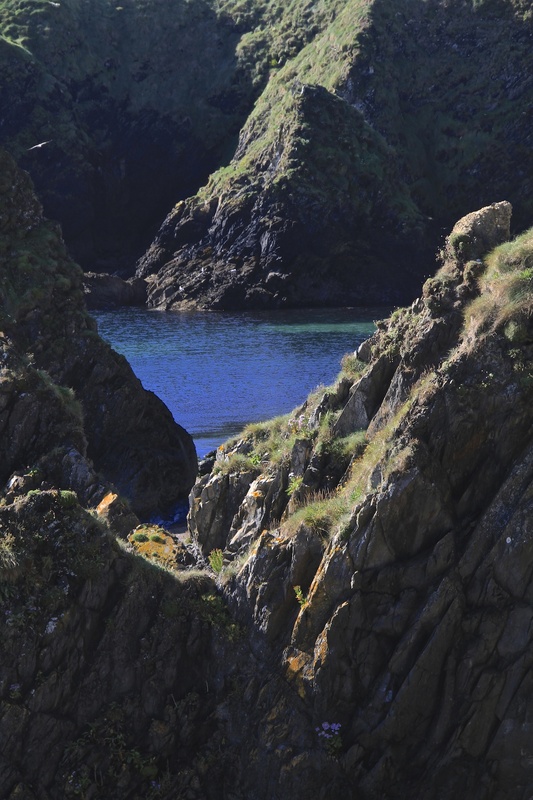 But if you are like me and feel that the untamed landscape is the best spa of all, then I will let you in on a few secrets, starting with this section of the Copper Coast. 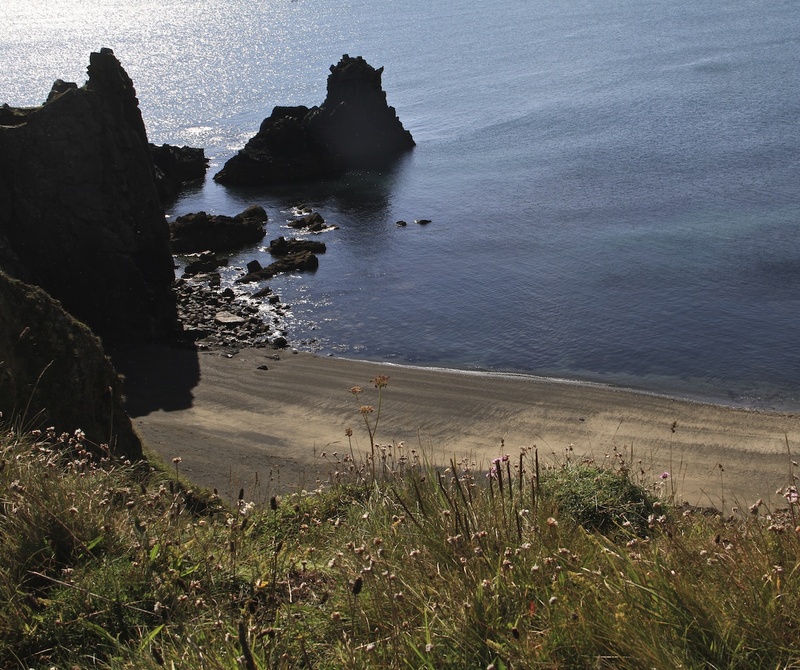 This stretch of landscape is called the Copper Coast after the unique geology of the area and the copper mines which operated here in the 19th Century. You will pass the ruins of the mine buildings just before Bonmahon. I have a few rules. If you go to these places you must respect their beauty and wildness. You may not find somewhere convenient to bin your baby’s nappy. Take account of this. Park the car, get out and walk, there may not be a convenient car park. Above all enjoy these magical places in all and any conditions. No such thing as bad weather, only bad clothes and shoes. Especially shoes!! 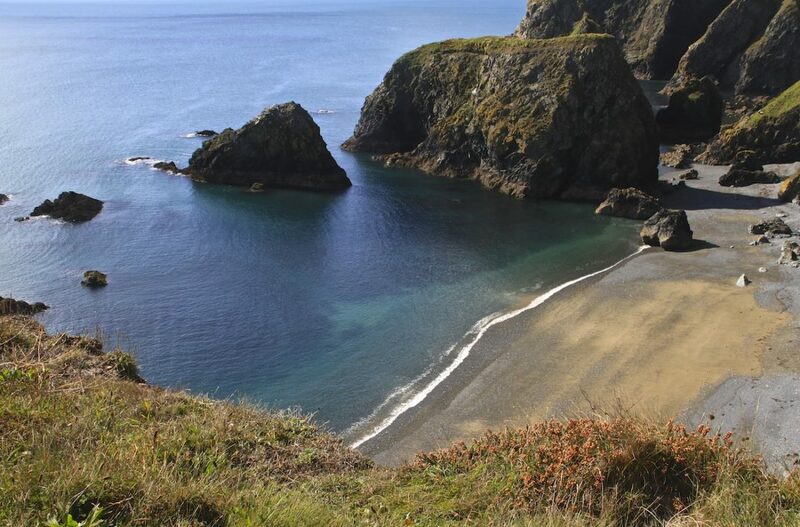 My first recommendation is to take one of the Copper Coast routes from wherever you want to start from to wherever you want to end it. My photos today are from Annestown to Bonmahon. It’s non stop gorgeous. 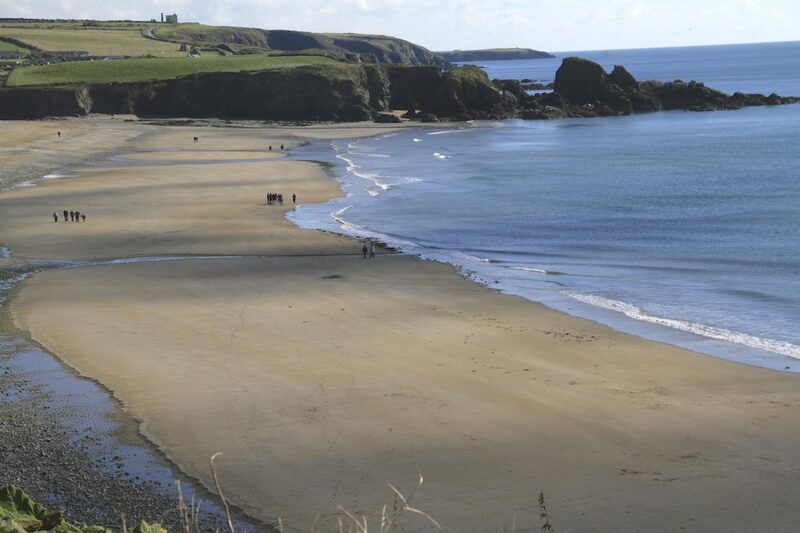 Stop at each of the beaches, walk in the sand, collect small stones, swim. Fall down in the grass, feel the breeze on your face, let your mind drift……..The further you explore the more you will have the place all to yourself. For photographers in the morning there is eastern light like in these photos. In the evenings the end of the beaches all face west. 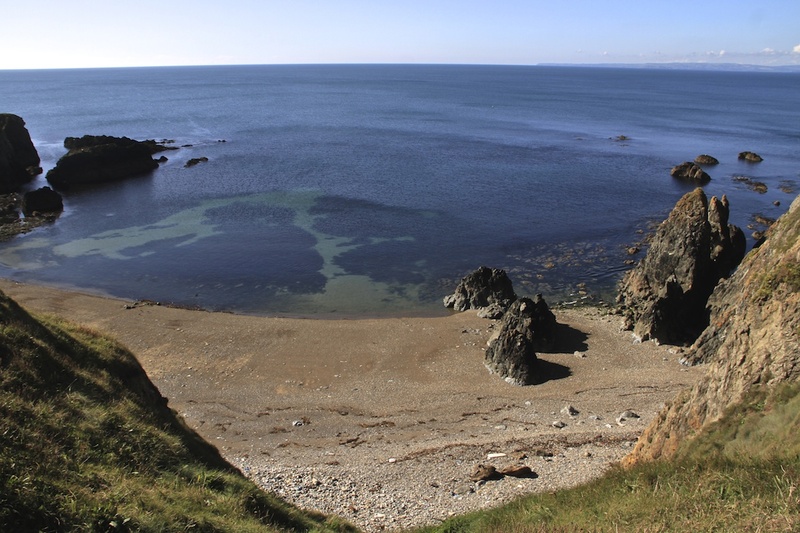 Come up for air at the Copper Coast Geopark Cafe which is in an old church in the upper village of Bonmahan or bring a picnic. For the perfect end to the perfect day you can stop for refreshments at Mother Mc Hugh’s in Fenor or eat in the Copper Hen Restaurant. And just to be clear, this is not a sponsored post this is a post of pure passion!! Love the photos! This looks and sounds like my kind of place (also like to avoid crowds). I think writing about places you visit is a good idea. As someone currently looking for ideas for what to do in New York, I appreciate bloggers that do travel recommendations. Better yet if it’s tagged and organized by an area so I can easily find similar posts. Thanks for the feedback Maery Rose. I agree it’s great to get tips from people who really know a place. I am asked soooooo often about Ireland, but often find that people are so very different in what they are looking for. I guess my tips are for other introverts and creative types….?! 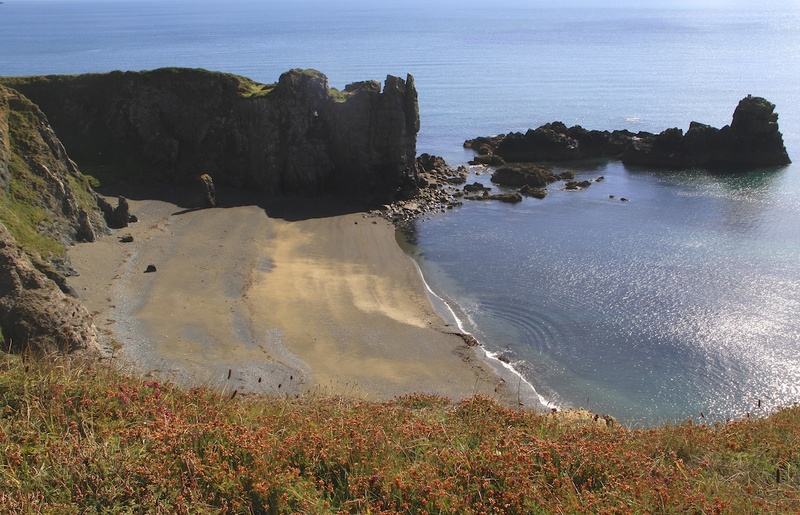 Looks like my comment was eaten by the blog monster so I’ll start again…..I would love for you to create a section on your blog for your fav places to visit….I adored County Waterford when I visited and wished I had more time there. Beautiful images Catherine! Thanks for sharing your world with us! Ooops! You are so right….as I had a belly full of homemade soup in me after the cafe, I wasn’t in the mood for mackerel that day! But yes the “gutted” mackerel are an integral part of the whole Copper Coast experience!! Thanks for that Kieran. I did it years ago….wrecked myself if I remember. I actually tried to comment on your blog a minute ago. It’s fabulous. Congratulations on making the shortlist. If you need votes or anything let me know. My money is on yours for gold. Great work. Too late – reckon you’ve already started that stampede!